Vinpocetine is a little mentioned nootropic that enhances cognitive function and learning via increasing blood flow to the brain. Over the past few months since jumping down the nootropics rabbit hole, we’ve covered some of the most popular, and frequently encountered, ingredients including tyrosine, choline, and phenibut. But, there’s additional mainstream nootropics that don’t get the attention they deserve, yet should have a place alongside the cholines and noopepts of the world. Today, we turn the spotlight onto Vinpocetine, a rather understated smart drug that improves cognitive function much differently than most of the other well-known nootropics. We’ve got all the details ahead as we venture forth to learn more about this intriguing supplement! Here’s the parent compound Vincamine, from which vinpocetine is derived. Vinpocetine is a synthetic alkaloid derived from Vincamine, the main compound of the lesser periwinkle plant, Vinca minor L. The compound was first isolated in 1975 by chemist Csaba Szántay and was vinpocetine was first manufactured in 1978 by a Hungarian drug company called Gedeon Richter under the brand name Cavinton. Following its release, vinpocetine was prescribed in numerous European countries as well as Russia, Mexico, and Japan to treat various cognitive and circulatory brain disorders. 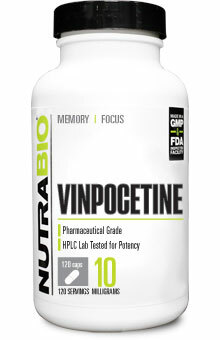 In the U.S. and Canada, however, vinpocetine is sold as an over-the-counter supplement and can be used as an ingredient in supplement formulas. Historically, vinpocetine has been used in Europe as a means to enhance cerebral blood flow in the treatment of epilepsy, stroke recovery, and cognitive decline. In modern times, the synthetic compound has been embraced by the smart drug community as a cognitive and memory enhancer. Let’s dig a little deeper into this little known nootropic and see what it does that might enhance brain function! The simple explanation of what vinpocetine does is that it increases blood flow to the brain. With increased blood flow, you get more oxygen and nutrients delivered to the brain thereby increasing cognition, memory, and concentration. Schematic diagram depicting how vinpocetine inhibits NF-κB–dependent inflammatory response in vitro and in vivo. 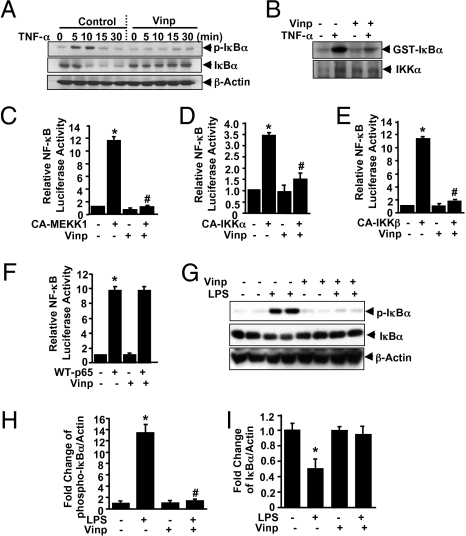 As indicated, vinpocetine inhibits NF-κB–dependent inflammatory response by directly targeting IKK, independent of its well-known action on PDE-1, Na+, and Ca2+ regulation. The result of these ion channel interactions is reduced neurotransmitter release, more specifically dopamine and glutamate. By suppressing the release of these neurotransmitters, neuroprotection occurs as a result of decreased oxidative damage. Vinpocetine may also reduce assorted inflammatory processes in the body by inhibiting IKK-β activation as well as the transfer of NF-kB (a protein complex that controls DNA transcription and cell survival) across cell membranes. 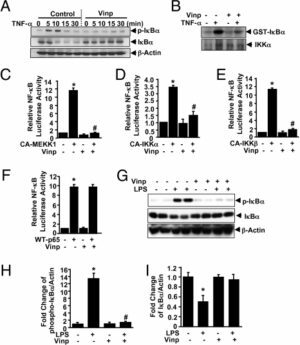 FYI, IKK-β is a catalytic subunit of IkB kinase (IKK), a complex that serves as the master regulator for NF-kB activation. Finally, vinpocetine interacts with alpha adrenergic receptors and the Translocator protein (TPSO) receptor, but, researchers have yet to identify if these interactions impart any effects in the brain. Now let’s get to the part you’re really here for — how vinpocetine benefits your brain function! 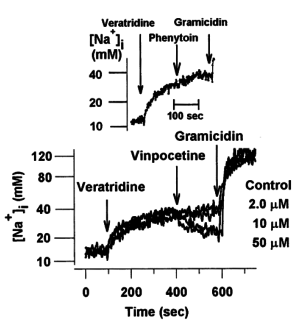 Vinpocetine prevents increases in sodium via inhibition of Na+ channels, highlighting one of its many actions in the body. Starting off with the most obvious benefit, and the reason for all the others to follow is the increased blood flow vinpocetine provides to the brain. 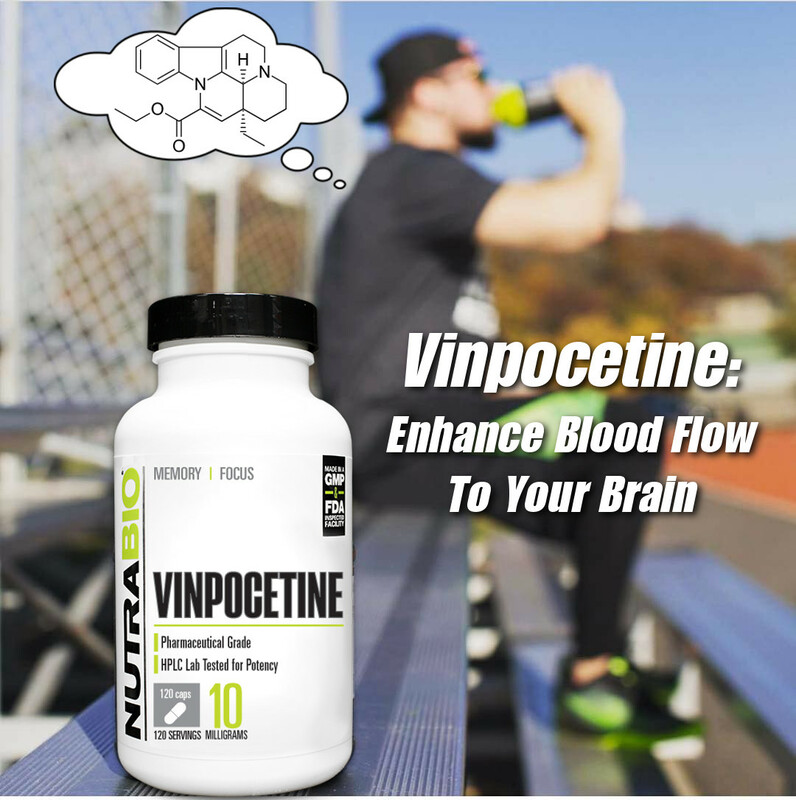 In vitro studies using 20mg vinpocetine resulted in a 7% increase in blood flow to the brain in men, and this improved blood flow is associated with neuroprotection. Studies administering 30-45mg of vinpocetine orally noted improvements in brain oxygenation in subjects with circulation issues. 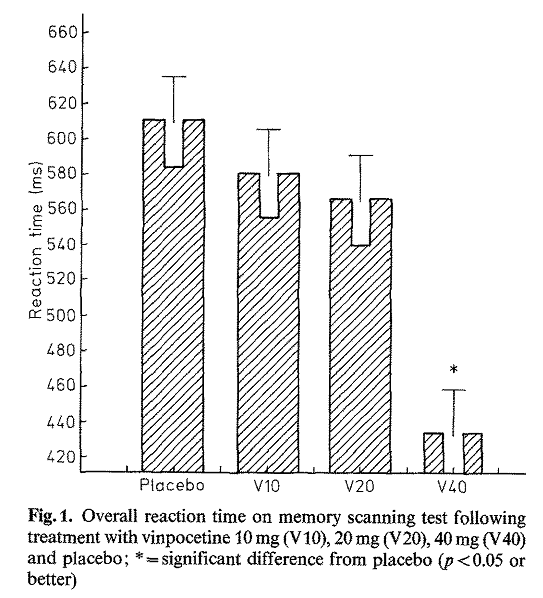 A 16 week trial investigated the effects of ingestion of 30 mg of vinpocetine per day, 60 mg of vinpocetine per day or placebo on cognitive performance. 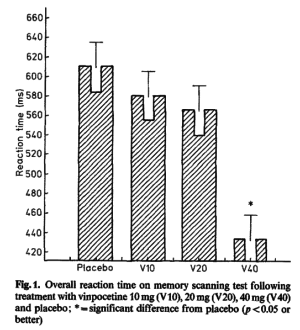 At the conclusion of the trial, both groups consuming vinpocetine demonstrated significant improvements in cognitive performance compared to placebo, but there was no substantial difference in performance between those taking 30mg and 60mg per day, which suggest that the upper limit for vinpocetine’s benefits might be around 30mg / day, but more on dosing later! Notice how the number of errors goes down dramatically following administration of Vinpocetine. In an interesting rat study, researchers intentionally stunted hippocampus function and long-term memory potentiation by damaging neurons in the mice brains, but following administration of vinpocetine, the rodents memory and Long-Term Potentiation (LTP) were restored. In a study that administered one week of vinpocetine intravenously, followed by 90 days of oral dosing at 30mg/day documented significant improvements in subjects with symptoms of cognitive decline. Another study gave elderly patients a combination of vinpocetine and piracetam to measure its impact on the subjects’ low brain blood flow. Results showed that administration of the treatment slowed the rate of cognitive decline and improved subjective measures of well-being improved. Vinpocetine significantly enhances reaction time in healthy individuals. Vinpocetine might also enhance your reaction time, which might be of particular interest for the gamers and athletes reading this. A study in women found that consuming 80mg of Vinpocetine per day significantly reduced reaction times from 610ms to 430ms. Various studies have shown that vinpocetine can reduce the loss of mitochondrial membrane potential, which is needed to generate ATP, brought on by excitotoxicity. Additionally, it can reverse the drop in mitochondrial function induced by beta-amyloid pigmentation. Since vinpocetine can increase blood flow to the brain without affecting blood pressure in the body, it’s believed the smart drug may be useful for treating headaches brought on by excessive pressure. Plus, vinpocetine also blocks certain sodium channels which are associated with pain, giving you two different mechanisms by which this nootropic can combat headaches. 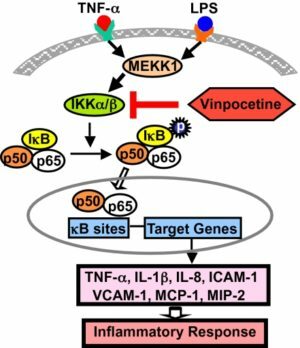 Vinpocetine (Vinp) inhibits TNF-α–induced NF-κB activation by targeting IKK. No “ideal” dose has been identified for vinpocetine, but some help can be found in the Physicians’ Desk Reference for Nutritional Supplements which recommends doses of 5-20 mg/day. Other studies have gone as high as 80mg / day in humans, broken into two-40mg doses. Whenever NutraBio has a single-ingredient product, we trust it most thanks to their third-party lab testing! 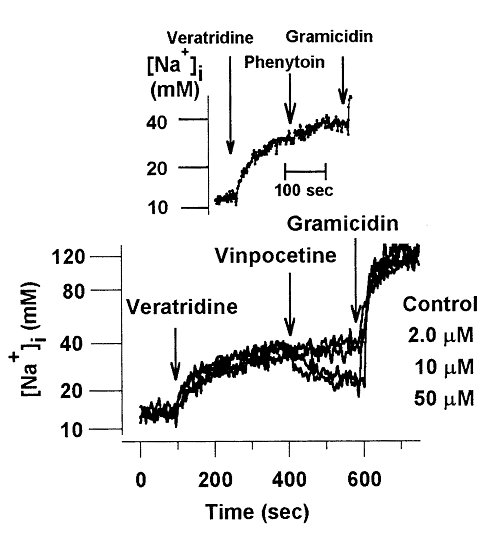 When ingested orally, vinpocetine exhibits a half-life ranging from 1.73 to 2.9 hours, and has shown an affinity for certain regions of the brain, the thalamus, visual cortex, putamen and basal ganglia in particular. Ultimately, we’re thinking 30mg/day total is a good place to be, and this is what aligns with the highly-trusted NutraBio Vinpocetine label. There aren’t a ton of trusted manufacturers out there making Vinpocetine supplements, but there are at least a few that we highly trust. They’re shown in the price comparison widgets below. Of those, we most trust NutraBio Vinpocetine, since they publish third-party lab tests on their supplements and we’ve toured their plant to see how well the follow manufacturing laws. You can see that on our main NutraBio page, and compare prices on the other trusted products below. Note: NutraBio did not pay us to write the above section, although we are affiliated with them and the other stores listed above. They had no clue we were writing this article – we just appreciate their goodwill and pure transparency for the supplement industry. The lethal oral dose (LD50s) for mice and rats is 534 and 503 mg/kg, respectively. Administration of the toxic doses resulted in ataxia and clonic convulsions. As for humans, vinpocetine seems to be pretty safe stuff. Various studies have used doses as high as 60-80mg / day and patients have not experienced any serious adverse side effects. However, there are some possible side effects including nausea, headaches, sleep disturbances, dizziness, and flushing of the face. Vinpocetine’s bioavailability is significantly increased when paired with a delivery technology or meal. Vinpocetine has a significantly higher bioavailability in mice than humans, about 52% in rodents. 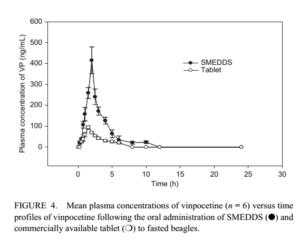 Compare that to humans consuming vinpocetine as part of a water-based solution which has shown a bioavailability of 6.2-6.7%, and you might start to think that this smart drug isn’t all that effective. 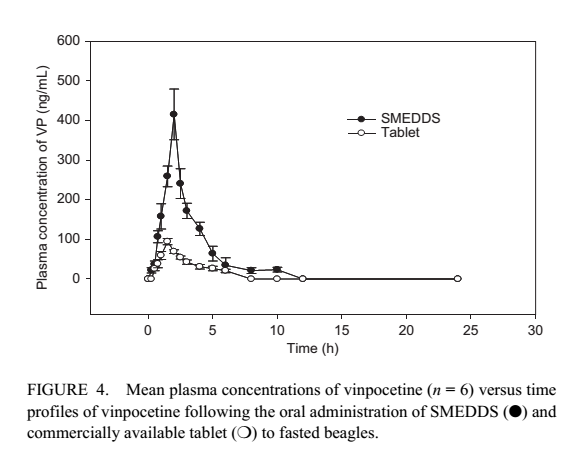 However, consuming vinpocetine with a meal as opposed to being fasted significantly increases its bioavailability by 60-100%! Additionally, using delivery systems, such as liposomal delivery, can increase absorption of vinpocetine[34,35], as can using a topical vinpocetine patch. Regardless, vinpocetine can cross the blood-brain barrier (BBB), it just might help to take it with a meal for maximum efficacy. Since vinpocetine works a bit differently than most other nootropics, in that it doesn’t directly increase levels of acetylcholine, serotonin, etc, stacking recommendations are a little vaguer. Various “neuro hackers” have stated that it works well with gotu kola or any of the racetam family of compounds like piracetam or phenylpiracetam. Realistically speaking, you could probably add it to any nootropic stack for the benefits of increased blood flow, which will just serve to enhance the various actions of other nootropics. The obvious beginning choices are a good form of choline (like citicoline or Alpha-GPC) and L-Tyrosine, before getting into any of the more aggressive stuff like the racetams mentioned above. How about that for a different spin on nootropics? Vinpocetine offers a wide variety of benefits to cognitive function and health, yet it still doesn’t get the respect it should in the nootropic community. If you’re looking to boost memory, eliminate brain fog, and enhance overall brain function, give vinpocetine a shot next time you’re looking to dabble in the world of nootropics. 4 Comments | Posted in Nootropics, Supplement News | Tagged Lesser Periwinkle, Long-Term Potentiation, NF-kB, Nootropics, Translocator Protein Receptor, Vincamine, Vinpocetine. Tóth E, Kiss B, Gere A, et al. 1-Oxa-3,8-diazaspiro[4.5]decan-2-one derivatives with a potent inhibitory effect on neural Ca-uptake and protecting action against TET-induced brain edema and memory and learning deficits. Eur J Med Chem. 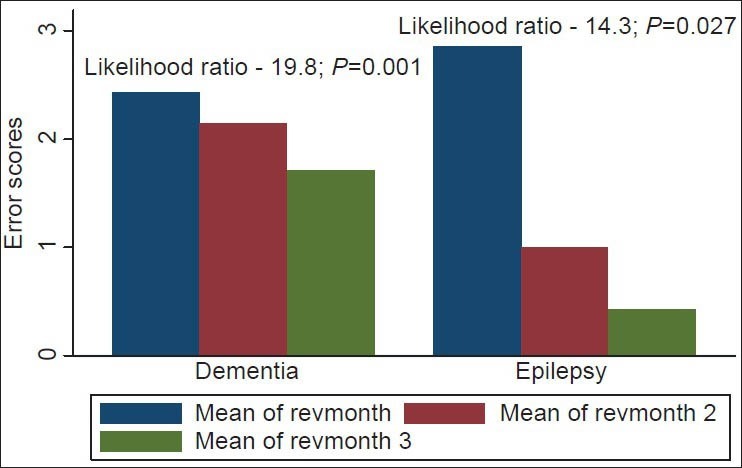 1997;32(1):27-38. doi:https://doi.org/10.1016/S0223-5234(97)84359-0. Molnár P, Erdő SL. Vinpocetine is as potent as phenytoin to block voltage-gated Na+ channels in rat cortical neurons. Eur J Pharmacol. 1995;273(3):303-306. doi:https://doi.org/10.1016/0014-2999(94)00755-V.